We are less than 3 months out from the wedding, and y’all let me tell you..it’s starting to feel REAL! I’ve been getting these fantastic boxes from The Ring Boxes for a few months now, and I think this last one is my favorite one so far. Why, you may ask? I’ll show you in a minute! 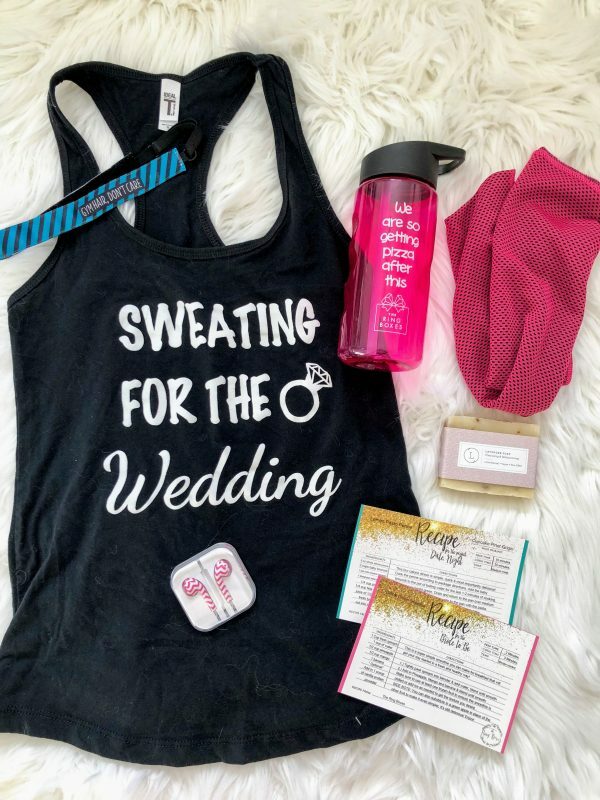 First, if you’re unfamiliar, The Ring Boxes is a bridal subscription box that comes monthly and includes a variety of goodies to spoil the bride-to-be. I am lucky enough to have a wonderful father who gifted me my subscription and I highly recommend them as gifts to other people! They have a few different options to choose from including month-to-month, 3 months, 6 months and 12 months. I got the 12 month one even though I was only going to be engaged for 10 months because 1, who doesn’t love getting packages in the mail and 2, one of my best friends (and bridesmaids) is also engaged and I plan to gift her a few things 😉 The 6 month box is the most popular gifted one. Now, what came in the box?! The day I got this shirt, I wore it haha. Hence why it’s got dog hair all over it. Everything in our house has dog hair all over it. ‘Tis the life of a pet parent. 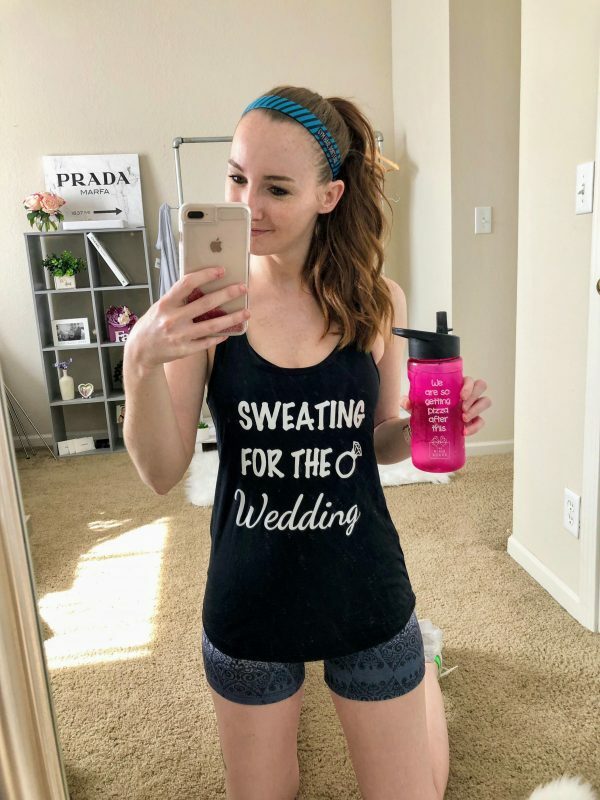 I am on a great workout routine right now getting ready for the wedding, so adding anything to help with that is a huge bonus for me! 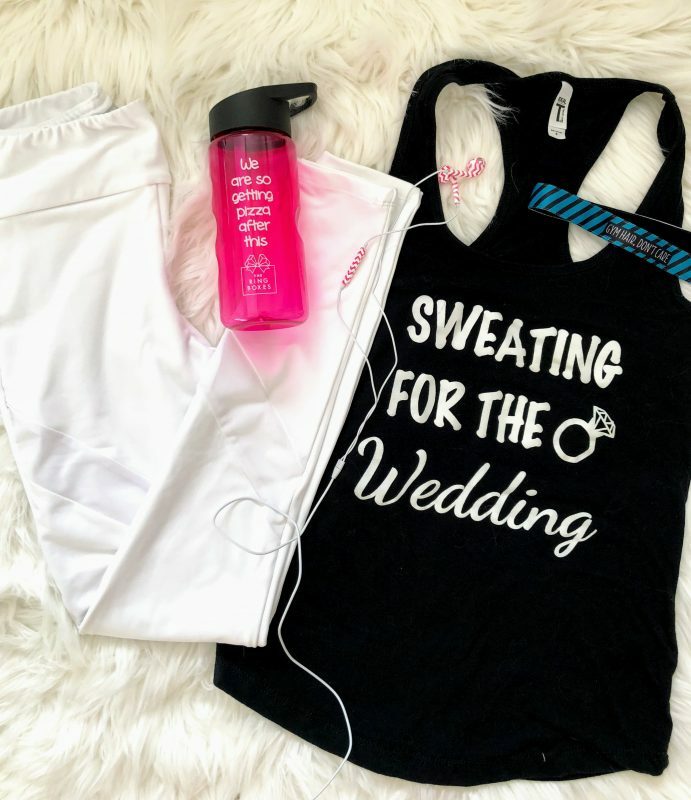 Do you get motivated by cute workout clothes?? If I don’t feel like working out, I just put on a cute outfit and it really helps me get in the right mindset. I am a firm believer in the “look good, feel good” saying. On top of a cute top, I got new workout essentials!! The pink chevron ear buds are so cute. I don’t personally use ear buds when I work out since I work out at home, but they’ll definitely come in handy for my flight home next month and when I listen to podcasts at work or at home. If you don’t know, my weakness is pizza. When I’ve had a bad day, Jake always suggests we order a pizza because it instantly cheers me up. I wish I could explain why haha. It’s just my comfort food! So this pink water bottle is PERF. I’ve also worn this headband every day since I got it. I have a terrible time with headbands. I think my head is oddly shaped because NO headbands ever stay on my head. 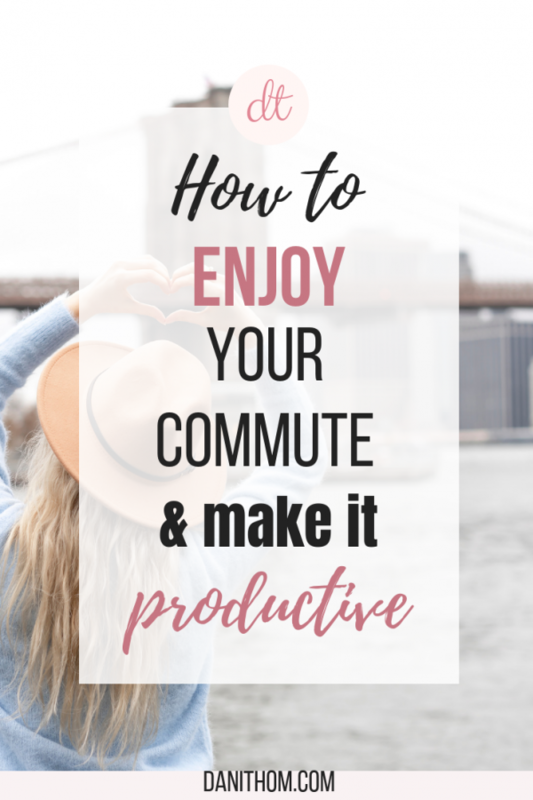 Especially when I’m working out and moving all around. This one STAYS PUT. It’s because the inside is lined with a velvet material. It doesn’t move around at all! I’ve linked a similar one for you below because it’s fantastic. Obviously the above picture is before I worked out, but by the end it hadn’t moved. And my hair is CRAZY. So that means a lot for me. Another cool thing is that it’s adjustable. It has a little piece on the back that lets you tighten and loosen it. I think that helps a lot because it’s made to fit my head whereas all others are one size fits all. The other things in the box include a bar of lavender soap (which smells as amazing as it sounds) and a pink gym towel. They also include two recipes for you in every box with a wine recommendation. How sweet is that?! Encouraging date night! Jake and I love to cook together and love getting new recipes to try. Overall, I think this was my favorite box I’ve received so far because I loved the fitness theme AND I loved that I will legit get to USE everything in the box. You know sometimes you get things in subscription boxes where you’re like “mmmm this is nice but will I ever actually use it?” and then it sits in your closet/desk/bathroom for 6 months before you randomly find it again when you’re deep cleaning? To me that feels like a waste of money. So I’m happy to get my (dads) money’s worth from these boxes. Are you or someone you know engaged?? I’d love to hear about it! 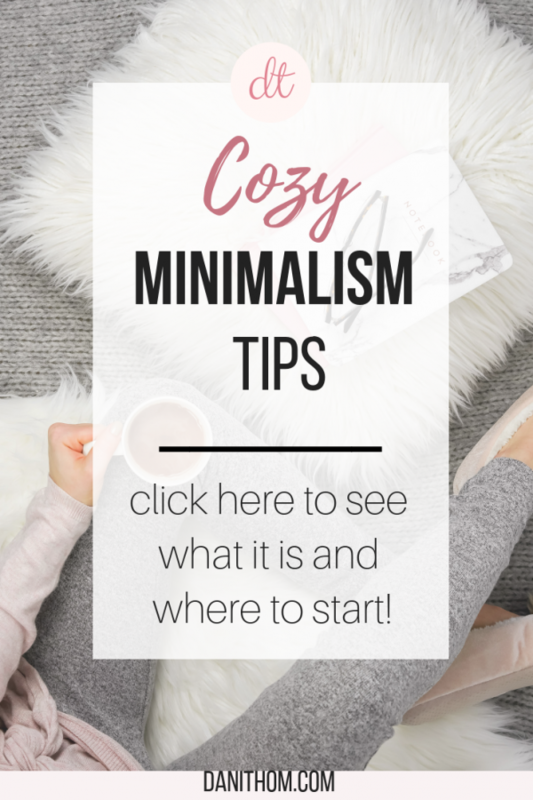 Leave me a comment about your story below! *Thank you to The Ring Boxes for sponsoring this post! Boy, I wish I had this when I was getting married! What an ideal gift this will be for a friend getting married! And, I am so with you on the pizza, Girl! That bottle is perfect! Great post! What a great subscription for brides-to-be, I wish I had known about this when I or my besties were getting married!! I’ll definitely keep them in mind for future family/friends!